How to organize kitchen cabinets is the most sought after question when you need a hassle free cooking space. These ideas on how to organize kitchen cabinets will help you achieve just that. Kitchen is an integral part of organised households all across the world. The ease of cooking/baking in a structured kitchen is a privilege dream but not achieved by all. Kitchen cabinets mostly form bases to create a systematic cooking work space. Everyone wants a systematic kitchen space, here we have shared few ideas on how to organize kitchen cabinets. Diwali is here and cleaning is a major act that happens just before the festivities begin. Also when you start cooking many festival recipes like Diwali snacks recipes and Diwali sweets recipes, you need an organized kitchen to keep the cooking process smooth. Sometimes kitchen can be lagging space to create ample cabinets, then we can use stainless steel racks depending upon the size of room. But these steel racks can be used on a huge wall or along an empty wall. We can also utilize small spaces above sink area or a small gap besides refrigerator. The following ideas/information will help you figure out how to organize kitchen cabinets. Measuring cups, spoons or any sleek shaped utensil as per the space between the cabinet door and shelf inside it. 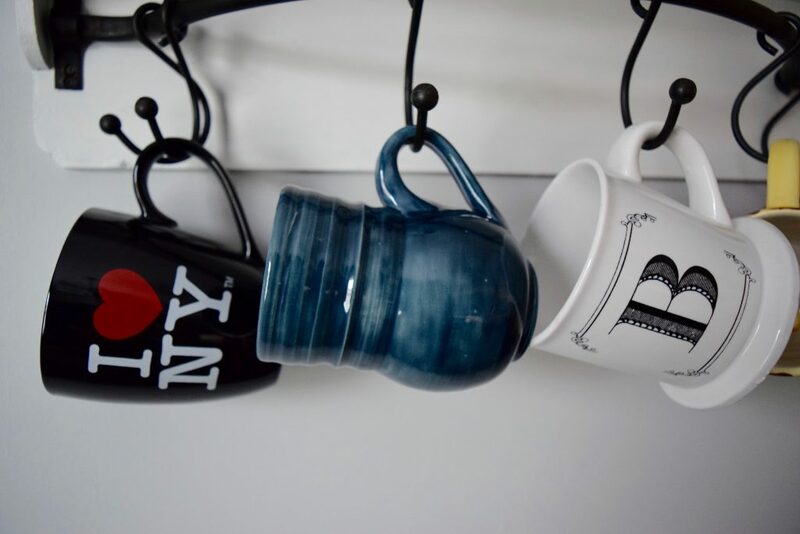 We can always collect similar objects and keep them together, like spatula, stirrer, ladle, and other such kitchen equipment together in a wide mouth jar or bottle so that when we are in a haste we do not have to search them in the drawer. All the related items for baking can be kept together, various parts of food processor can be kept together. Grilling attachments can be kept together, like wise we can categorize other items. 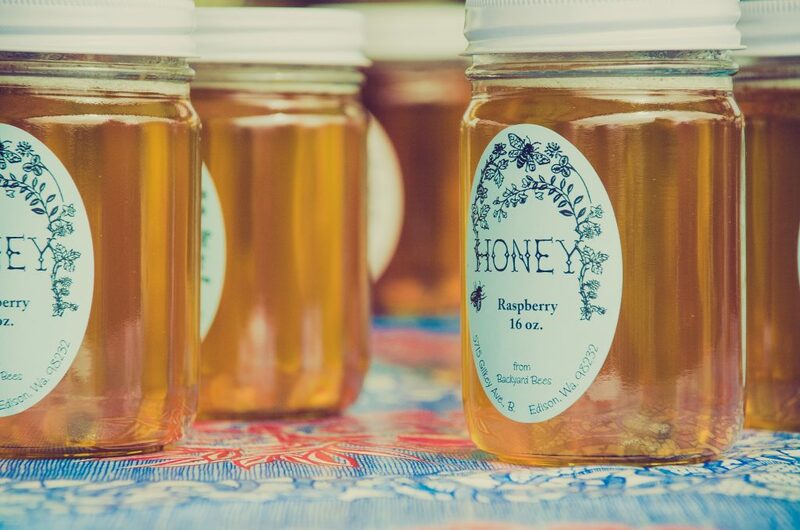 When it comes to choosing between similar looking ingredient kept together, labeling them is the best alternative. We can avoid to become a victim to a situation where while cooking we mix up salt with powdered sugar and create a disaster recipe. Moreover if the jar/container is labelled we can easily refill the same ingredient into it next time. 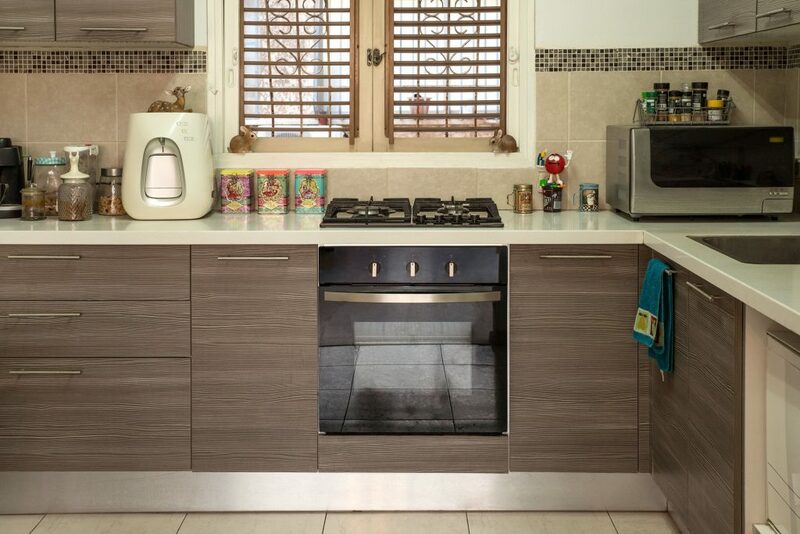 We can avoid or minimize the wastage or misuse of the discrete space in our cabinets. By adding a separator or organizer in a broad shelf we can divide it into various parts and use it accordingly. Example, keeping all the lids in steel-wire stand, makes them instantly available when needed. We can also use small self dividers or a basket and stick/hang them to cabinet door to keep all the small bottles of sprinkling spices together. We cannot conserve our time and energy if we just fill up the cabinet again, rearranging the cabinets is of utmost importance to keep it organized. 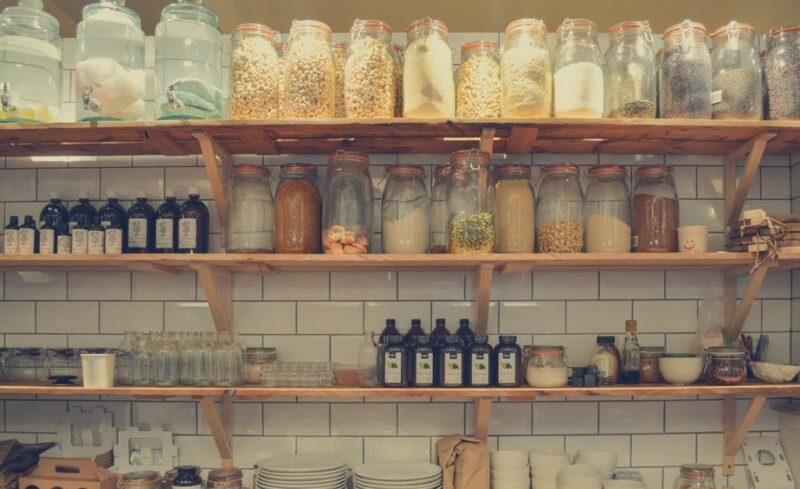 Keep the daily needs(oil, tea, coffee, spices, flour, grains, cereals etc) in front of /besides the cooking platform and things which are used once in a while can be kept far away. 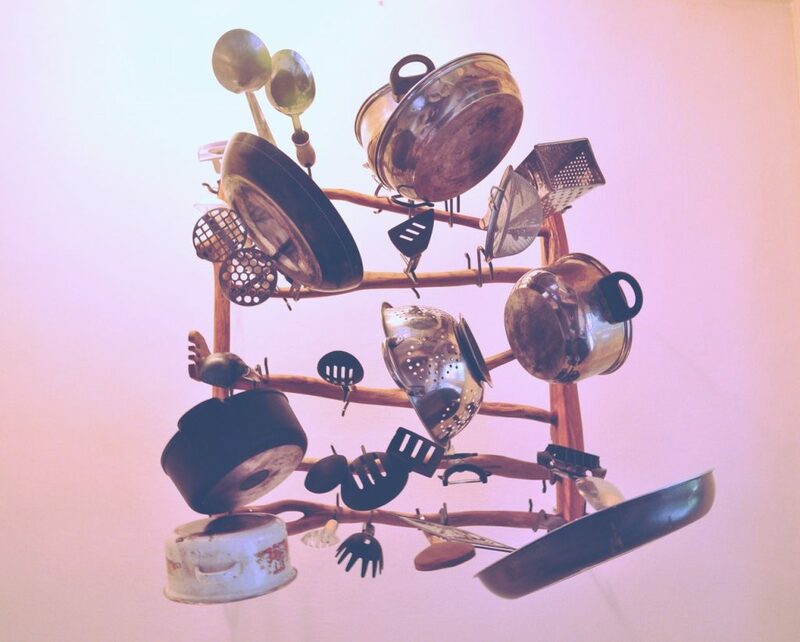 As we start our daily chores we can categorize the serving and cooking utensils pan, kadhai, tawa, bowl at cabinet near platform, some of them can be kept on hook besides the wall near gas cook top. 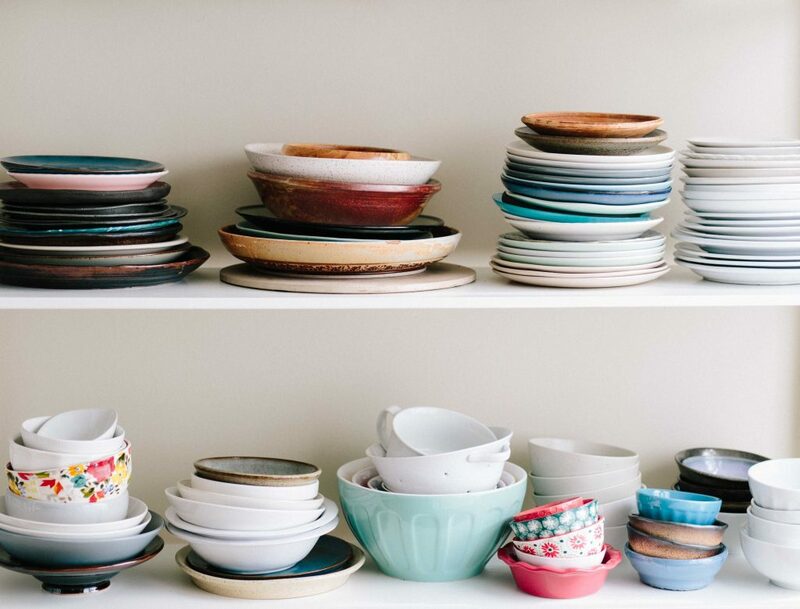 Many of us keep idle equipment, crockery, jars and utensils just because we like them. The unused lid is of no need whose jar is broken but still its lying in our cabinet. 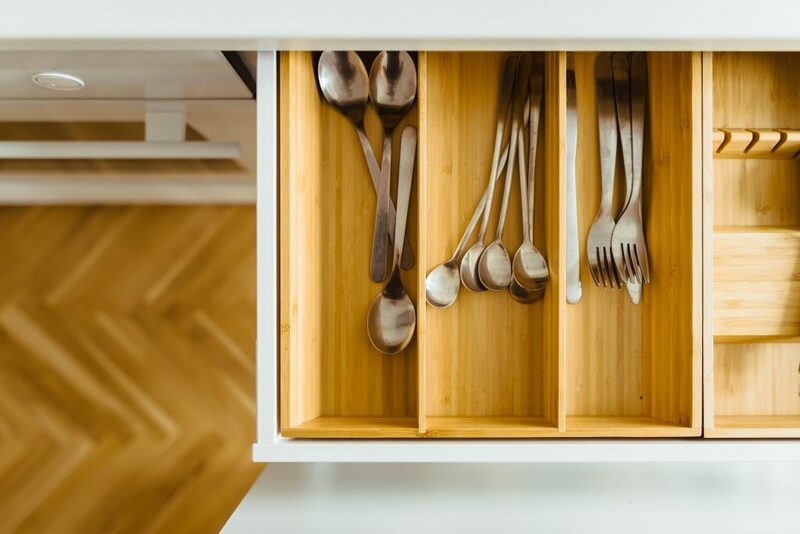 Sometimes out of affection we keep non suitable utensils, all these form clutter in our home and dust on these unused items attract negative energy and create space crunch. Regularly removing the unused item can help keep the space clean and organized. The pot holders, kitchen towels, aprons , wiping sponge , tray liner, foils should be kept close to the cooking platform so that they are readily available when needed. Water purifier should be enclosed in a covered space to avoid dust. The area below the kitchen sink can be utilized to keep garbage bags, utensil washing equipment, disposable containers, and other dry non edible daily use items. If we want to maintain the structured kitchen, cleaning is ought to be regularly done. With Diwali, most of the households go for a complete cleaning routine and it’s a blessing in the form of festivals that we get to clean and organize our kitchens and thereby our homes. Happy Diwali!